iBall airway 14.4GW-01 3G USB Modem is now available in India via online e-commerce websites at Rs. 1,578. Notably, the 14.4GW-01 dongle is listed on infibeam as well as Airtel Shop with a same tag price Rs 1,578, and it is worth mentioning that both eCommerce websites had earlier listed with Rs. 2,299. The airway 14.4GW-01 boasts with 3G network facility, works with 2G SIM also. On different network, its data transmissions are different; up to 14.4Mbps – HSDPA, 5.76Mbps – HSUPA, 384kbps – UMTS, 237kbps – EDGE and 85.6kbps – GPRS. The device supports HSDPA / UMTS 2100Mhz, GSM /GPRS / EDGE 850Mhz, 900Mhz, 1800Mhz and 1900Mhz frequency bands. The airway 14.4GW-01 sports built-in antenna for UMTS/GSM networks. The modem comes in standard USB 2.0 interface form. The dongle has standard 6 PIN SIM card interface, compliant with 3GPP 31.101 and 31.102 standards. 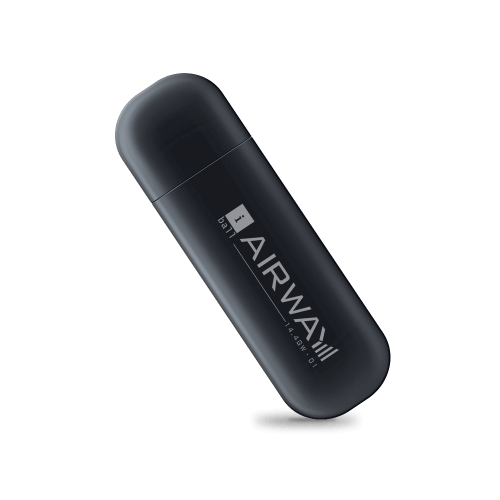 The airway 14.4GW-01 is a Plug-N-Surf, driverless device. It does not need any PC Suite Software utility to run. It runs through WebUI IP Address 192.168.0.1. To run the iBall airway 14.4GW-01 3G USB Modem properly, you need minimum configurations of PC / laptop, which is configure with; C.P.U 500Mhz (Intel Platform), 512Mb Ram, 40Mb free disk Space and standard USB 2.0 port. According to official website, this iBall’s dongle dimension is 88.7(D) x 27.3 (W) x 10.5(H) mm, with no word about weight. The iBall airway 14.4GW-01 3G USB Data-Card sports a LED light, which provides variants of information. Red Colour means Power ON, but not registered to a network; Green Colour Stable – Register to 2G Network; Green Colour Blinking – Connect to 2G Network; Blue Colour Stable – Register to 3G Network and Blue Colour Blinking meaning Connect to 3G Network. The iBall airway runs well on -10c to 55c temperature.